An Electronic Cash Register may be an option for very small low volume businesses. For merchants that don't qualify for a free POS system, or who just prefer a cash register, the free ECR program provides an excellent alternative to Harbortouch POS. 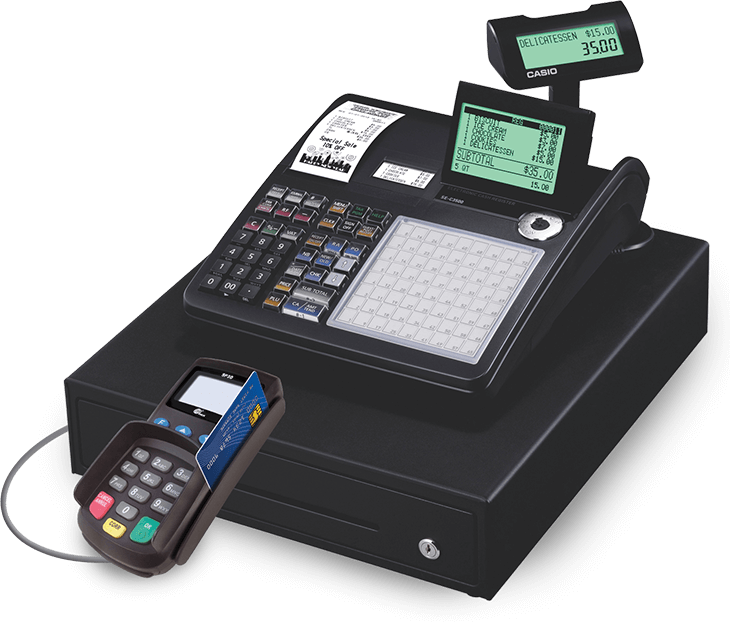 The Harbortouch ECR is the industry's first and only electronic cash register to feature completely integrated payment processing. This unique technology allows merchants to handle all of their payments via one terminal, a capability not previously available with a cash register. While a credit card terminal will only do credit card transactions, an integrated ECR will manage the money, record sales, keep track of taxes and now process credit cards, all in an efficient and streamlined manner.